It is a truth universally acknowledged that a good bag of coffee beans must be in want of a good coffee grinder. Fresh coffee grounds are the classic requirement for any shot of espresso or cup of coffee. Using the right grinder improves consistency, texture as well as size. Preparing the most amazing cup of coffee requires some TLC. It isn’t rocket science, but it isn’t as simple as microwaveable pizza. Preparing a good shot of espresso forms the basis of any good cup of coffee, from cappuccinos to lattes to mochas. Apart from quality, fresh ingredients and sparkling water, a good cup of espresso requires a quality grinder. All these combined with a passionate skill set will produce heavenly coffee. 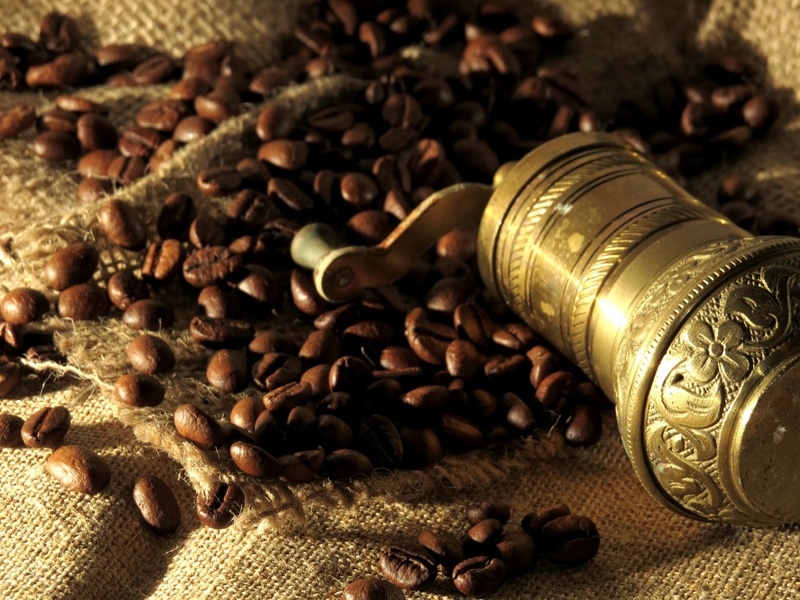 The coffee grinder is the Mona Lisa of coffee. Ask any barista or coffee connoisseur and they will tell you that it is better to have a $500 grinder and a $200 espresso machine to produce a good shot of espresso than it is to have a $3000 espresso machine and no grinder at all. Don’t have a grinder? Then maybe you should consider making an investment in one. Coffee grinders are important to the coffee making process because the coffee bean’s intricate flavors are deep aromas are exposed only after the grinding process. When the coffee beans are crushed, these bits become more soluble and dissolve in water, releasing the flavor and aroma. Simply put, grinders are not cheap. You will want a solid burr grinder that grinds coffee beans into consistent sizes, not into fine powers or into chunky bits. For a general idea, a quality well- built electric burr grinder starts at $99 and can go up to $400. A cheaper grinder will probably cause you problems in the long run, from problems with the motor, the blade, the burrs, overheating and the flow of the beans from the hopper. Here are some pointers to help you purchase the right grinder for your needs and budget. When working a budget for your coffee purchases, decide how much you can spend first and then purchase the grinder at about the same price as you would the espresso machine. For example, if you have set aside $600, then purchase $250 or more on a grinder and $350 on a machine. You may think that $250 for a grinder is a lot but the grinder is an important part. Your budget shouldn’t only be on the espresso machine. This budget should include the grinder, accessories, plus machine. So if you have $1000 and are only thinking of splurging on your machine- stop. Purchase your grinder at $350 or more and on your machine, $650 or less. Reviewing a product before purchase is the most sensible thing a consumer can do. Once you have a budget, you can now look at the variety of grinder models. This terminology refers to the particle sizes your grinder churns out and how you change these sizes. Most budget machines are stepped. This means you have clear setting that you need to tap or click on so it changes its mode from coarse grinding to fine grinding. Most budget grinders have about 40 steps, whereas superior ones have up to 80 steps. Stepless machines have, well, no steps. The selection is very fluid, so this means your grinds can go as fine as 5 to 10 microns. Back in 1920s, most grinders had a doser until recently discovered that doser chambers affected the espresso beverage quality. Most grinders now do not have dosers while some still do. Those that still do, thankfully have come with significant improvements in their technology- it puts all your coffee into a pretty little mound at the bottom of the filter basket. So you may think that doserless grinders are the choice option. Unfortunately, doserless machines are still flawed because they are quite messy and leave sprayed grounds around the machine area. Both are good and both have a huge following of fans. Conical burrs have a larger cutting surface and spins slower. This results in less heat transfer. However, the flat burrs have better heat-dissipating properties and are highly recommended for brewing. All in all, if you are new to grinders and coffee brewing- always start with the basics and then work your way up. Only in that way will you know what way you like your coffee and what equipment enhances flavor and presentation. Leftover Coffee - What else is there to do?